Getting ready for the school year, I added prayer for missionary friends and our Compassion child, Rocio, into our daily routine - because I need and want the accountability to pray for them, as well as teaching our kids to pray for those out in the field. Several days later, as we were cleaning out some boxes, I found a photo book (for babies to play with & chew on), full of outdated pictures, and our bag of photos and magnets that had been on our fridge in Boston. That baby toy now contains the missionary photos and will be our physical reminder to pray each day! One family we pray for is the Johnsons (click to see a photo.) We met at church in Cambridge while Travis was pursuing a public health degree at Harvard. His wife, Amy, was in Bible study with us on Tuesday mornings. And their oldest, Lilli, is Elizabeth's age; they also have to little boys. 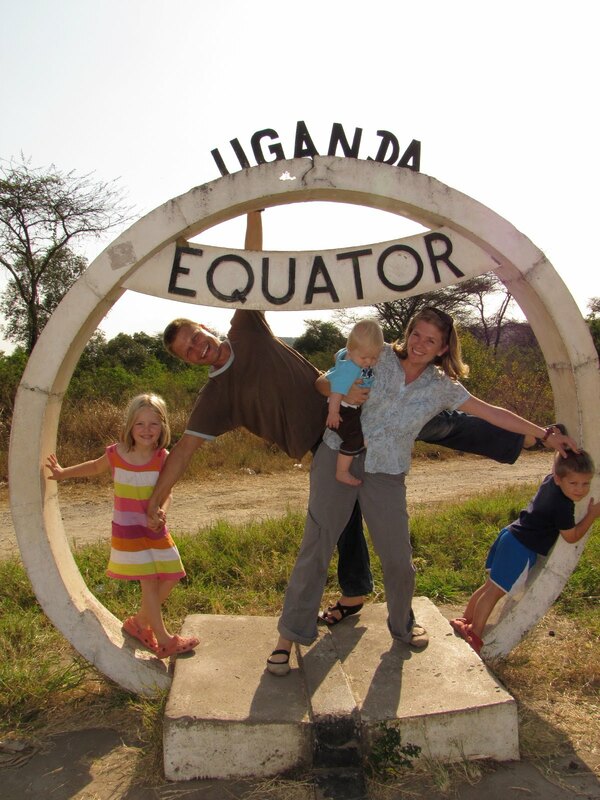 They departed from the US at the beginning of the year to serve in Bundibugyo, Uganda. They maintain a blog here and have been updating a lot recently. I thought some of you might enjoy hearing their stories and consider joining the many who pray for them and their work. Today's post about the many hats that Travis wears particularly moved me to prayer! And Amy's recent post about contentment has been on my mind, as well. The earthly battles they fight in a remote area of Uganda are quite different from my experience, but the spiritual battles raging around them and in their own hearts are quite the same. My consistent prayer for our missionary friends has been that God would give them faith. Please join me in praying that today for the Johnsons: that God is able to provide for the many needs around them, that they will get the necessary visa, that God really did call them to Bundibugyo and will sustain them in that call. That's a great idea! We've been putting them (missionaries we support/pray for) in picture frames on the mantle, but sometimes they get overlooked. Miss you here in Boston, but I love blog and FB to keep in touch.